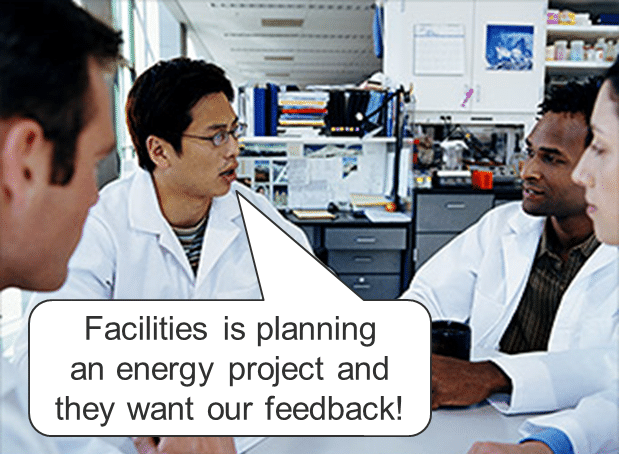 A few years ago, I helped put together an I2SL guide for facilities staff who find themselves conducting energy projects in lab buildings – a daunting prospect for many! The guide contained a host of strategies for helping retrofit projects proceed successfully and to the satisfaction of engineers and scientists alike. I keep referring back to it for ideas to help my own projects go more smoothly, so I thought I’d share some of the highlights here. Project implementation can be tricky in labs. Retrofit projects that improve safety, control, and efficiency are beneficial to all stakeholders, but anything that disrupts the flow of research is at risk of being viewed negatively if one doesn’t appropriately consider the scientists’ needs and priorities. The good news is that by incorporating some smart strategies – coupled, of course, with good overall project management – the majority of lab retrofit projects can be carried out with minimal disruption and to the reasonable satisfaction of all involved. The best strategy for any given lab building is probably as unique as the building itself. In this post I’ll present a range of options for project communications, scheduling, design, and demonstrating success. Many of these were gathered from expert members of the I2SL community. I hope you’ll find some of them useful in planning your own successful lab building energy projects! You won’t often see Principal Investigators (PIs) – the scientists who lead research groups – wearing a lab coat. PIs have many competing responsibilities, including directing and funding their group’s research. Lab energy efficiency often falls below the radar – but not because scientists don’t recognize its importance. A 2014 Pew poll [i] of US adults and of professional scientists found that 87% of scientists believe that climate change is mostly due to human activity; while only 50% of non-scientist adults shared this view. Further, a 2015 study by the Center for Energy Efficient Labs [ii] reported that 65% of key decision makers in US labs regard energy efficiency as important or very important when making purchasing decisions. 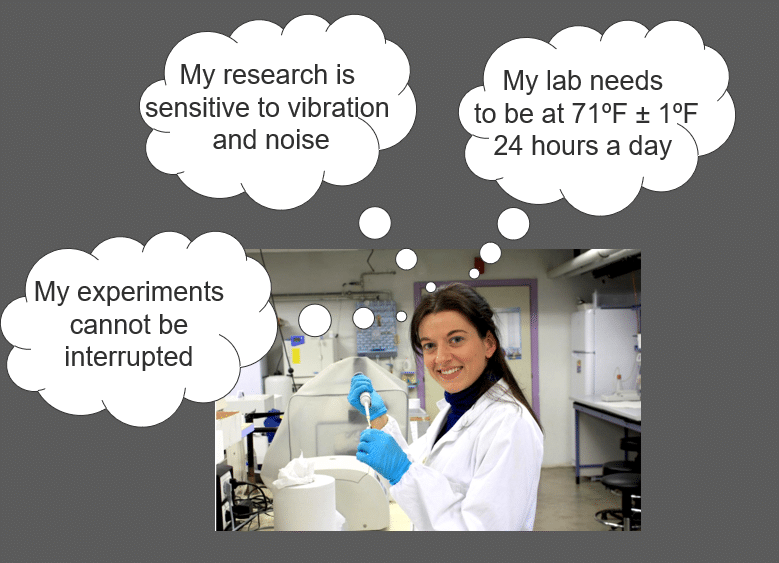 It’s important to choose the right channels of communication with PIs and other scientists in labs. The best choice at any given facility is a function of organizational structure and internal politics; try to choose channels where the existing relationship with scientists is a positive one. Lab managers can be an excellent bridge between facilities staff and scientists. Other channels to consider are building managers, Environmental Health and Safet staff, and facilities O&M staff. The Dean of Research at an academic institution, or a company’s Chief Science Officer, is a powerful ally – a project supported by research leadership is much more likely to be welcomed by scientists. Start early. The groundwork for a productive relationship can be laid well before the project is planned. 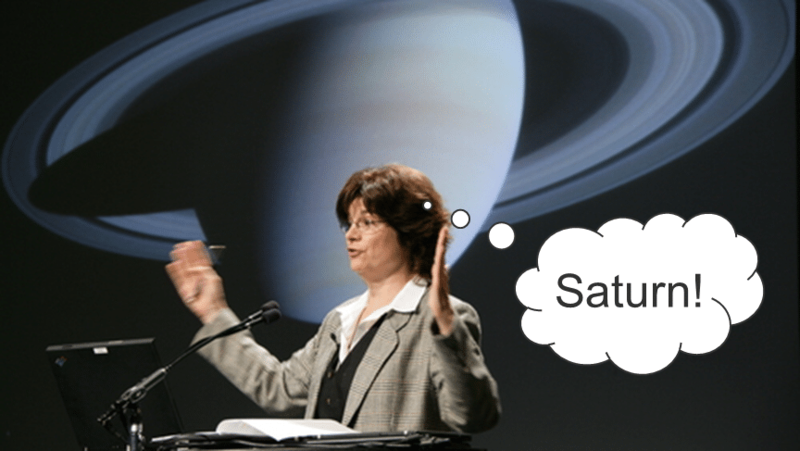 Invite scientists to join facilities energy teams – be inclusive! Develop a network of allies – as an ambassador for the facilities department, a scientist ally is an “internal barometer” on potential conflicts and barriers. Always make the purpose of your communications clear – which aspects of the project are open for discussion and which are fixed, and why and when the requested information is required. During construction, communication is just as important. Posting an official project email address in building common areas may help make sure that occupant comments make it to the project manager. If it’s well organized and collaborative, laboratory project scheduling can be straightforward. Research scientists are actually quite accustomed to schedule constraints; a facility engineer told me it was more challenging to coordinate a major retrofit project in a law school library than in a science building! But It’s important to consult the occupants – well in advance – to develop a realistic schedule that will work for their staffing, experimental, and funding cycles, and to maintain good communication throughout the project. All this coordination will of course affect the project budget, and so scheduling and changeover requirements should be included in the project specs sent to bidders. Designing a successful project means balancing the needs of the occupants with energy (and safety) goals. These sometimes appear to be in direct opposition. For example, a PI’s insistence that any new controls must produce a constant room temperature of 72°F ±0.2°F to permit tissue samples to be grown on the bench could easily derail a planned controls retrofit project. Poll other labs to determine whether the request is typical or reasonable. Log current space temperatures to demonstrate the level of variation under which research is proceeding successfully. Offer a conditioned enclosure as an alternative. Ask whether special space conditions are required 24/7 or whether they might be relaxed at nights or weekends. Don’t expect even these highly intelligent occupants to be familiar with HVAC design requirements or equipment constraints – help them to understand! Add low-cost improvements – ask researchers for their maintenance wish list, e.g. replacing stained ceiling tiles, and roll these items into the project. Create an Owner’s Project Requirements (OPR) document for the project, incorporating input from PIs and other stakeholders. Know when to back off – don’t let one special case or holdout derail the entire effort. Projects that are widely known to be successful are more easily replicated in other buildings. You can demonstrate success by explicitly documenting it after project completion, via research-style posters about the project, follow-up meetings, trainings, or email updates. Follow-ups like these will also mean that you hear about any ongoing concerns the occupants may have. If you’re making lasting changes to the occupant experience (e.g. retrofitting zone-level HVAC controls), some precautionary pre- and post-installation logged measurements are an excellent way to demonstrate that the project has actually improved conditions in the building. That temperature display on the brand new LCD thermostat can lead occupants to erroneously believe that the temperature is fluctuating more now than with the old, broken pneumatic system. So plan on logging some trends of quantities relating to common occupant concerns, such as noise levels, space temperatures, or light levels. Data logging is cheap and easy, so it’s a great investment. If you’ve tried some of these strategies on your lab projects, let us know how it went. Or if you have other tried-and-tested methods for successful project collaboration with PIs, I’d love to hear them! The full guide – Best Practices Guide: Energy Efficiency Projects and Principal Investigators, authors A. Farmer and M. Gudorf, contains more details on all of these strategies and is available via I2SL (free to I2SL members, fee for others). Thanks again to all the members of the I2SL community who contributed to making this valuable resource!